New Haven’s 1.5 Cu. 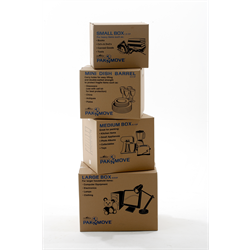 Ft. Small Pak-N-Move Cartons are convenient for packing books, CDs, tools, and small appliances. These cartons are the most requested for any household move, noted as the best way to ensure an efficient “unpack” at your new location. 1.5 Cubic Foot, Size: 16x12x12h, 32 ECT. Pack of 5 pieces – New Haven’s 1.5 Cu. Ft. Small Pak-N-Move Cartons are convenient for packing books, CDs, tools, and small appliances. These cartons are the most requested for any household move, noted as the best way to ensure an efficient “unpack” at your new location. 1.5 Cubic Foot, Size: 16x12x12h, 32 ECT.